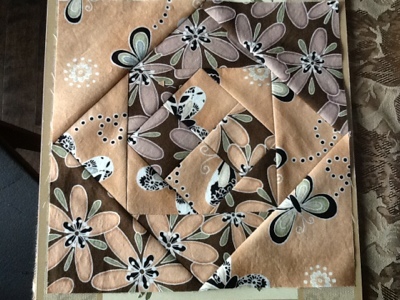 I have just started the Hawaii lap quilt. It will be staying in Hawaii as a gift. This is the first block. When put together with other blocks it will look like waves. The colours match the decor of the place we will be staying. Prayer quilts and 2 colours of thread!